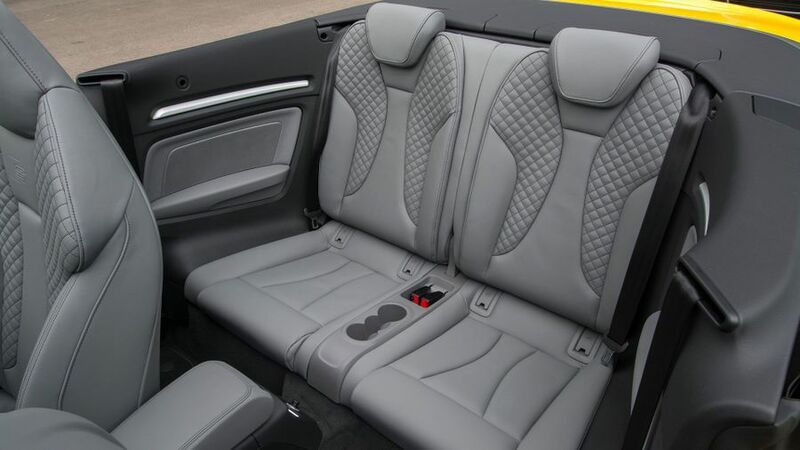 The Audi A3 Cabriolet is a mid-size four-seat convertible that majors on quality and style. It's also pretty good in a number of other areas, making it a brilliant all-rounder. 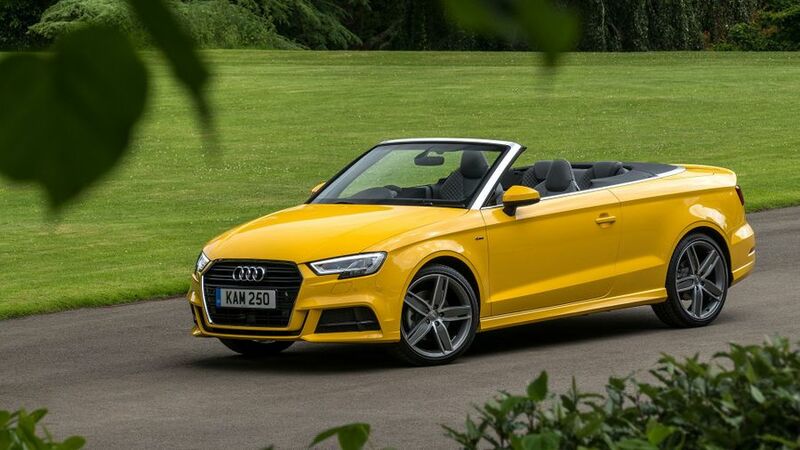 The Audi A3 Cabriolet is the best compact convertible there is. It’s effortlessly stylish, dripping with quality and it’s fun yet comfortable to drive. While that’s all a good drop-top needs, the A3 provides much more besides. Thoroughly recommended. 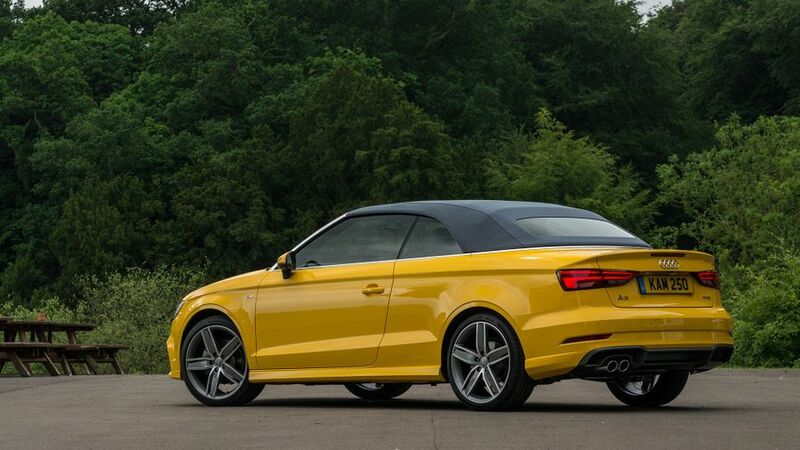 We think Audi has pulled a masterstroke by basing the A3 Cabriolet on the saloon rather than the hatchback. Some rival drop-tops have slightly awkward, bulbous lines when the roof is closed (which, in the UK, is most of the time) for just that reason. The A3 Cabriolet, meanwhile, has attractive flowing lines whether the top is on or off. 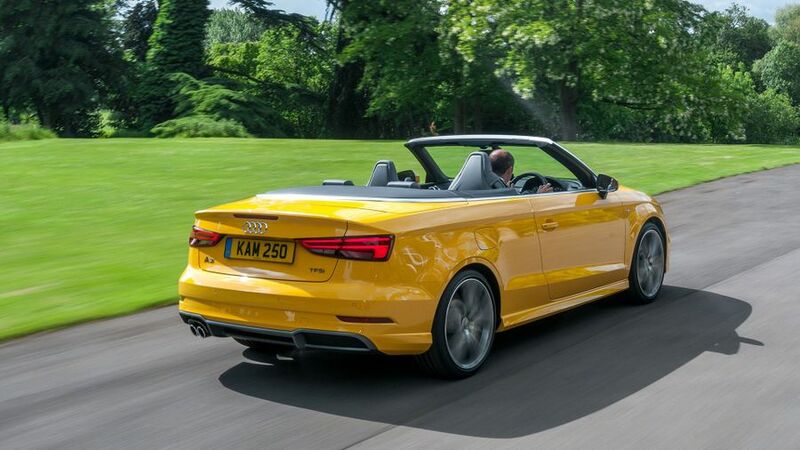 As ever with an Audi, there’s bold detailing at either end of the car, but the Cabriolet also sports some fairly dramatic creases down the flanks, while the shoulder line and windscreen surround are rimmed with chrome. The result? This thing really does look the business. And, if you go for the range-topping high-performance S3, it has own unique look, with aluminium-finish door mirror housings, bespoke bumpers, a platinum grey radiator grille and twin tailpipes. Just like in other A3s, the materials used inside the cabin are dripping with quality, while the assembly is bulletproof and all the various switches work with neat precision. This may be a small Audi, but it has all the lustre and sophistication of the bigger ones. The standard infotainment system also adds a rather high-tech feel. The screen features sharp, attractive graphics, and with clear, intuitive menus and a simple collection of knobs and buttons to navigate them, using the system is a piece of cake. As an option, you can specify Audi’s Virtual Cockpit system, which replaces the traditional dials with a large configurable information screen, and the unconventional way it works takes some getting used to. Finding a comfortable driving position is also made easy by the huge range of adjustment in the seat and steering wheel. However, rear visibility is rather limited when the roof is in place. There’s plenty of space up front and the rear seats aren’t too bad for room, either – the knees and hairdo of six-foot adults will press against the front seats and the roofline, respectively, but it’s still reasonably impressive that six-footers will fit at all. The boot is reasonable, too. With the roof up, you’ll get an impressive 320 litres of usefully square-sided space. 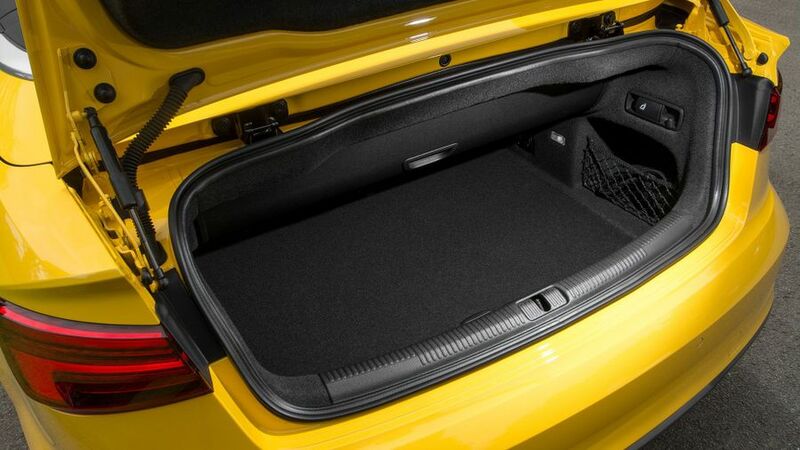 When you want to drop the roof, you have to pull down a load cover from the top of the boot – that shrinks the size down to 275 litres, and makes the load area rather shallow. You can drop the rear seat to boost the total luggage area, but the aperture between the boot and the main cabin is very narrow. The fabric roof (Audi has resisted the temptation to follow other manufacturers down the folding hard-top route) raises or lowers electrically in 18 seconds, and can be operated at speeds of up to 31mph – handy if you’re caught in a sudden downpour. Like its hatchback siblings, the Cabrio’s suspension comes in a range of flavours. The SE model’s is the softest, and therefore, the best. The ride is comfortable enough to suit pretty much any buyer, yet the car still feels very sharp in the corners, with excellent suppression of body roll, lots of grip and steering that’s weighty and direct. Sport models have the same suspension as the SE, but you also get Audi Drive Select, which changes the behaviour of things like the steering and throttle according to which driving mode you select. S line models come with a lower suspension than the others, which makes the ride much harsher and should be avoided. Sensible S line buyers will deselect this suspension in favour of the softer setup, which is available as a no-cost option. Those with no sense will specify the optional S line suspension, which is even lower and gives an even more punishing ride. The other option is Magnetic Ride, which uses adaptive dampers to let you tailor the behaviour of the suspension depending on the driving mode selected. It works, and it works well, but it’s a needless expense if you choose your passive suspension wisely. Magnetic Ride is standard on the S3, and while it doesn't give quite the level of sharpness you'd expect of an S-badged car, it’s very sure-footed and it never has a problem putting its prodigious power down. The loss of the roof means you feel more flex through the bodywork than you do in the A3 Hatchback, but it doesn’t wobble as much as many other convertibles. The 1.6-litre diesel version isn’t exactly fast, but decent flexibility means you can make easy progress. The 148bhp 2.0-litre diesel, meanwhile, combines good low-end pull with a strong mid-range, making for strong, flexible performance. However, our favourite engine so far is the turbocharged 1.4-litre petrol with 148bhp. Like in other A3 models, it delivers impressive pace and flexibility. And, because it shuts down two of its four cylinders under low load, it still returns impressive economy. At the sportiest end of the scale, the 306bhp S3 gives the sort of strong performance you’d expect. Its quick responses make for easy overtaking, while the strong low-rev pull means it's relatively undemanding when you're not going for it. There are other engines available that we haven’t yet had the chance to try, namely the 187bhp 2.0-litre petrol and the 181bhp 2.0-litre diesel. Depending on the engine, you can also choose between manual and twin-clutch gearboxes. There isn’t a bad choice to be made here, so it’s just a question of whether you prefer a traditional gearlever or flappy paddles. 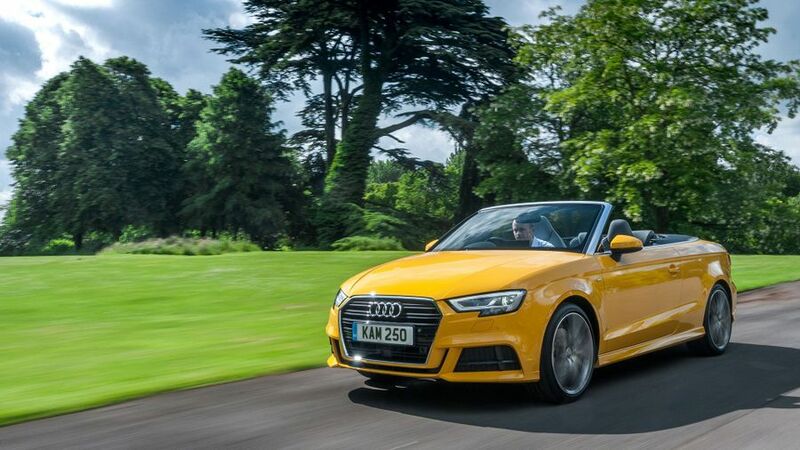 The A3 Cabriolet isn’t a cheap car to buy – indeed the S3 is almost prohibitively expensive – but it’s competitive when compared with its most direct rivals, and you can be sure of rock-solid resale values that’ll keep your whole-life costs down. Unsurprisingly, the 1.6-litre diesel is the star of the show for efficiency, with fuel economy of more than 70mpg and tax-friendly CO2 emissions of 108g/km. To be fair, though, the 2.0-litre diesel isn’t far behind, with an average fuel return of 67mpg. The 1.4 petrol’s Cylinder-On-Demand technology allow it to combine strong performance with an average figure of up to 58mpg (depending on wheel size), and bearing in mind its power, the 2.0-litre petrol’s figure of almost 50mpg isn’t at all bad, either. The flawless fit and finish in the A3’s cabin suggests that it’s built to exacting standards, but even so, Audi’s reliability record isn’t what it should be. The company is languishing near the bottom of Warranty Direct’s manufacturer standings. The three-year/60,000-mile warranty is about par for the course when compared with other prestige brands, but it’s nothing special compared with what some manufacturers are offering. All the usual safety stuff is included, including stability control and airbags; namely front and side ‘bags, plus one for the driver’s knees. The A3 Cabriolet also has a few things you might not expect in this class, like a pop-up bonnet that protects pedestrians, along with rollover protection that deploys guards from behind your head should the car turn over. The Cabrio hasn’t been crash-tested by Euro NCAP, but the hatchback on which it’s based earned the full five stars.